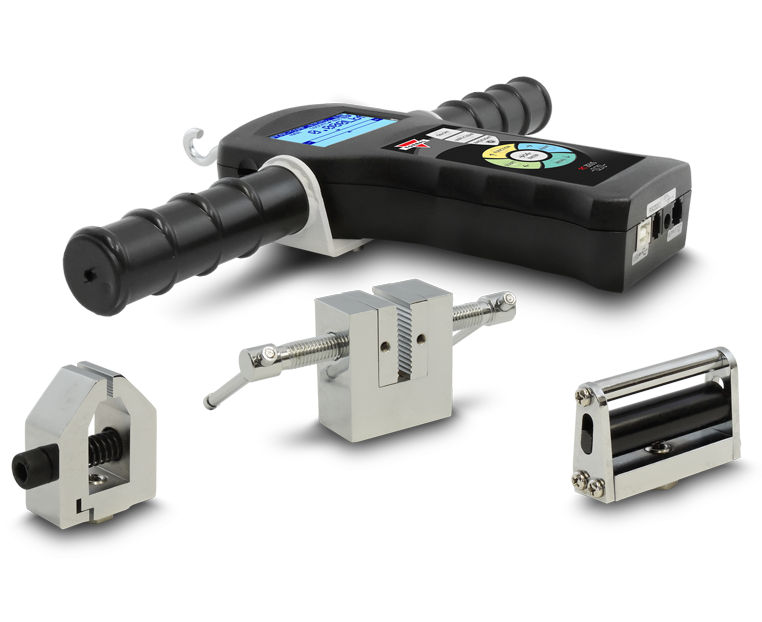 High resolution FB THOR and FC ZEUS force gauge models are supplied with essential attachments, such as extension rods, and threaded adapters which simplify tension and compression force measurements. Every high resolution Torbal force gauge includes a hook, chisel point, flat head, v-groove, as well as a cone point adapter. Optional attachments such as the C-Clamp or the Roller Grip are specifically designed for precision applications that may mounting in stands or fixtures.